Thames Valley Police is once again urging the public to think before they call police. As a force we are currently experiencing high demand to our 101 and 999 services. In particular we have seen significant increases in our 999 calls for service in the last few weeks. This increase in demand has also been experienced nationally. The public can help us. We receive a significant amount of calls where the 999 number has been inappropriately used. The emergency number is for people that require the immediate help of the police. Last week of all the 999 calls that our enquiry centres received, a staggering 80 per cent did not require an immediate police response, and were hence inappropriate for 999. Some of the inappropriate calls we received to 999 in the past few weeks included a woman advising that her parcels were being delivered to the wrong address, a man who needed a lift home as the buses and trains had stopped running, and a man who was calling 999 to update that he had found his dog. These calls were not appropriate for the 999 service and could have put lives at risk. We also receive a significant amount of calls to our non-emergency number that relate to non-police matters. Of the 1.2 million calls we received to 101 last year, 52 per cent of them did not result in a crime or need for an incident log to be created. In light of this we are once again urging the public to think is this really a matter for the police before they contact us. Chief Superintendent Christian Bunt, Head of Contact Management for Thames Valley Police, said: “We really need the public to take notice and think to themselves is my call an emergency and is my call appropriate for the police? 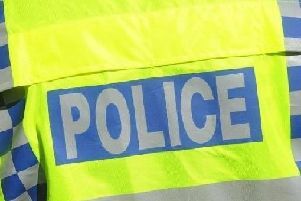 “Of the 999 calls we received last week only 20 per cent required a Thames Valley Police officer to attend immediately. “Meaning that 80 per cent of those callers were inappropriately calling 999. “This puts people who are in immediate danger at a real risk and could lead to someone not getting the help they so desperately need. “We normally expect a seasonal increase at this time of year but the extended period of extremely hot weather, has put additional pressure on our call handling service. “Naturally we are an emergency service and so our priority has to be protecting our 999 service. “This means we need to dedicate a much higher proportion of our call handlers to answering emergency calls. “Unfortunately this does mean that we are not always in a position to provide the normal level of 101 service during peak times. “We are aware that members of the public may have experienced longer than usual delays getting through on the non-emergency 101 number. “However I am sure the public would appreciate that we have to prioritise emergency calls. “By calling us for non-police matters such as abandoned vehicles, which should reported to either the local authority or DVLA (check) and noise complaints, which should be reported to environmental health, people are further reducing our ability to answer calls that do require a police response. “Obviously if you urgently need our help, are in immediate danger or need to report a crime or incident that you feel needs a fast response from the police then you should call 999. “If you need to report a crime that has happened but isn’t in progress then you can report this online via our website https://www.thamesvalley.police.uk/ or call 101. Our website also provides information to signpost you to the appropriate agency for non-police matters. “I would reiterate please think first, is it an emergency or is a crime in progress with risk to life or property? If so then ring 999. Call to 999 from a man who acknowledged during the call that it was not an emergency but wanted to inform us that he had found his dog. Call to 999 from a woman who wanted officers to attend and collect a handbag she had found. Call to 999 from the owner of a restaurant owner, that a van was blocking access to her restaurant. Call to 999 from a man who wanted a lift home as the bus and rail services had finished for the night. Call to 999 that a man had locked himself out of his own house. None of these calls were appropriate for 999, and most were arguably not appropriate for the police at all.